OKAY! You guys brought this up so I'm only happy to show you the can of worms you actually opened. What happens when a bullet is moving through the air? The air molecules are bouncing around and crashing into the bullet. The more molecules that hit the bullet, the more resistance (drag) the bullet will feel. (This is an oversimplification of the physics, but good enough for the purposes of this article). That seems like a simple concept - air density must be an input into ballistics calculators, right? Yes and no. Yes - density is a key factor used by ballistics calculators. But no - you never see an "air density" input field on a calculator screen. The reason is pretty simple. Have you ever seen an air density measuring device? Remember that what we care about is air density - the number of air molecules hitting the bullet. In other words, we care about the actual, physical pressure at the shooting location. This is called the "absolute" or "station" pressure. Sometimes it's referred to as "uncorrected" pressure. It has physical units of pounds per square inch, but you'll often see it listed as inches of mercury (inHg). This odd unit is a throwback to the days when pressure was measured by comparing columns of mercury in glass tubes. You'd measure the difference in height of the two columns to get a pressure reading. While that might be interesting science trivia, all you need to know is that the units of pressure used by most ballistics calculators are inHg. More inHg means more pressure. Pressure is something that can be measured with a hand held altimeter, or a device like the Kestrel 4500 wind meter. Some sporting watches have built in barometers. You can even get apps for your smart phones to read barometric pressure. Whichever device you choose, you must make sure you are measuring absolute pressure. Why is this even a question? Because there’s a thing called "corrected pressure". This is the pressure that is reported by the weather man on TV. Meteorologists like to compare atmospheric pressure at different places on the globe. But atmospheric pressure varies greatly with altitude, so they correct the actual measured pressure to what it would be if it were at sea level. For example, the absolute pressure in Colorado might be measured to be 24.9 inHg. But the weather man will report it as 29.9, having corrected it from an altitude of 5,000 feet down to sea level. This is all great for the weather man. But we don't care one bit about corrected pressure because the bullet doesn't see corrected pressure. It sees absolute pressure. Boy! Oh boy! Are we all sufficiently confused yet? Well now if for no other reason than rubbing salt in the cut. Let’s toss wind into this mess of a mixer and how it effects that pool little bullet trying to swim its way to the target. Conventional wisdom says that shooting in a headwind or a tailwind can be more challenging than shooting in a similarly strong left to right wind. But is that true? If the wind is blowing hard left to right, surely that's going to deflect the bullet more than the same wind in your face, right? First of all, let’s dispense with a common misconception; head or tail winds are tricky because of the vertical deflection they induce. Yes, it's true that a headwind will cause the bullet to hit lower than it would in a no wind situation. And a tail wind will cause a high impact. This is simple to explain: a headwind, from the bullet's perspective, means the air is flowing around the bullet faster. So the bullet will experience more drag force due to that increased air flow. That increased drag is like having a deflated BC - the drag will slow the bullet down and cause it to hit low. The reverse is true for a tail wind. A decreased drag force causes a high impact. So why did I just go through explaining how a head/tail wind impacts vertical, only to say that it's not the biggest problem? It's because the magnitude of the change is very small, but it’s there. • Point of impact with 0 wind = 335.7"
• POI with 10 MPH headwind = 338.5"
• POI with a 10 MPH tailwind = 333.0"
So a 10 mph change in head/tail wind will cause an elevation change at 1,000 yards of a click or two. This isn't a big deal, but it’s there. When we look at crosswind deflection, we have to understand that the bullet is taking a new line of flight because of the deflection. And because of that, the wind most deflective to a bullet’s flight is at the muzzle, not downrange where the bullet is moving slower. To visualize that concept, think of the line of sight at the instant a gun is fired as a ray, and of the path of the bullet as another ray, with the rays both originating at the muzzle so that they form an angle. If an instantaneous wind deflects the bullet on a new line of flight the moment it leaves the muzzle, you can visualize that if the bullet stays straight on its new path, as the range increases, so does the distance between the rays. Now if the wind is steady across the entire range, it is constantly updating by deflection the bullet’s line of flight resulting in the curved bullet path. If we launch a 190-grain pillt from a 300 Win Mag at 2,900 fps, it would take the bullet 0.107 second to reach a target 100 yards away where its velocity would be 2,725 fps. In a vacuum, velocity would stay 2,900 fps and it would take 0.103 second for the bullet to go 100 yards, so the lag time is 0.0035 second. For a 10 mph, 90-degree crosswind, the deflection is 0.6 inches (or about 2 clicks into the wind). If we were stretching the distance in this case to 500 yards the deflection would be 3.0”(or about 12 clicks into the wind). Another important thing to realize about wind and deflection is that not all winds are from 90 degrees, so it is important to know not only the wind speed, but also the direction. Wind downrange can be blowing in a different; even the opposite direction from a wind at the shooting bench, and the angle of the wind affects the amount of deflection. For winds that are not 90 degrees from the line of fire, it is the sine of the angle between the line of fire and the direction of the wind that gives you the effective crosswind. View the range as the face of a clock with the target being at 12 o’clock. Then a wind from one, five, seven or eleven o’clock is given half the value of a 90 degree (three or nine o’clock) wind. Likewise, winds from two, four, eight or ten o’clock are given almost 90 percent (0.87) the value of a true 90 degree crosswind. For example, if a 10-mph wind is coming from eleven o’clock, its value is half, so correct for a 5-mph, 90-degree crosswind. If the 10-mph wind is from four o’clock, its value is .87, so hold as if the 90-degree crosswind was 8.7 mph. I know it all sounds very confusing, which is why I think it’s important for shooters to find certain benchmarks for their gun and load if they think they may have to take a long range shot. For the load you use, know the deflection of your bullet at a certain distance for either a one-mph or a 10-mph, 90-degree crosswind. Understand that if the wind comes from a sharp angle either toward or from the target, the deflection is going to be about half, and if the wind comes from closer to 90 degrees, the deflection will be almost what it is for 90 degrees. But most of all, know that the wind usually seems to be blowing harder than it really is, and that the deflection probably isn’t as much as you think. Err on the side of less wind, and you won’t blow (pun intended) it. Re: Calculating Kentucky Windage! Say What? Hey that wasn't bad, I thought for a minute there you were gonna take us into Reynolds number calculations & a discussion of laminar vs. turbulent flow. You let us off easy! Gotta pick on one little detail though, hopefully you don't make me kneel on pencils again. That comment about the 500 yard shot in the crosswind had a little glitch I think - the bullet deflection would be quite a bit more than 3" if the crosswind was steady for the whole 500 yard trip, probably in the 16 inch range. Your estimate of clicks is good though I think. 3" would be the 500 yard deflection if the crosswind didn't exist beyond 100 yards, and if it was just 3" that would only take 2-3 clicks to account for it - do I have that right? You can get off the pencils MG. I forgot the 1 in front of the 3, It should have been 13" which normally correlates to 52 clicks. Thanks for paying attention you're my A student. 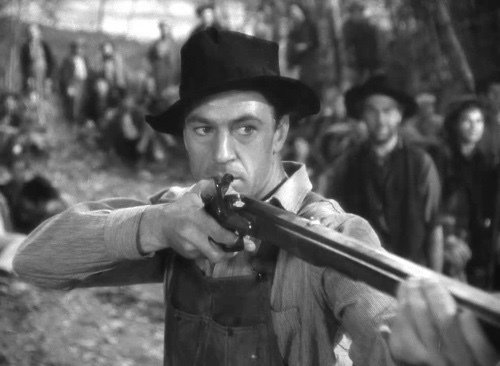 Kentucky windage refers to the practice of aiming to one side of the target to adjust for wind, rather than adjusting the gun's sights. Always been guess work to me. You got me with the title, DH guessing??!!! I'm right there with you PJ and the deer ain't going to wait for your calculator to warm up. However Dutch, it's a good read and educational at the same time. Thanks for taking the time to post. I shoot at 600 yards about 4 to 6 times a year but only when the wind is calm..and 400 yards is my max distance that I will shoot an animal Elk or Deer size game....the smaller the game the closer the shot should be, just my opinion...I normally shoot 3/4 MOA at 600 yards (always trying to get better) and will always shoot my magnums (with no lead sledge, just sand bags) at that distance...that is another subjective subject....whether to use a recoil reducing (besides the muzzle brake) device such as a lead sledge..
Another thing is mirage, this is sort of wind related, when it is hot and humid and you see those awful squiggly images that fill your scope it is mirage....I have learn to read the mirage (had to on several occasions at 600 yards). If you watch those super long range shots on TV, you can see two things, the mirage and the bullet contrail(the actual flight of the bullet). Which way is the mirage lines drift?? to the up left or up right....Now at shorter distances, say 200 yards and in you should not even consider it, just point and squeeze the trigger....but have had mirage at 200 yards during the hot summer dog days of August!! Very interesting , So if a 20 + head wind is blowing and I shoot dead on into it with a right hand twist the bullet isn't going to climb slightly to the right and if left hand twist climb slightly to the left ? Ozarkpugs: One of the truly wise guys on here can confirm, but I don't believe the direction of twist will have any measurable effect on your bullet trajectory shooting into a headwind. I'm going to speculate that it potentially could in a crosswind, but have no facts to back that up and suspect it would be a pretty darn small influence at any reasonable range we might shoot. Bo - good point. Up here in IL I don't have to sweat those details much, it has been a long time since I've shot a deer at more than 80 yards, and never did it beyond 120. I might need to dig deeper into that as I start pursuing coyotes now with some equipment that actually has the ability to reach out beyond 200 yds, but even with that it's rare that I'll be hunting in a place where I can take advantage of it. Not a fan of hunting in the wind either (especially from a tree) but have a couple of spots I can usually sneak into which tend to collect the deer when the wind is howling. So at what range do you not take the spin rate into effect...I know I have to do it at 600 yards and have to aim low and to the left about 1.25 inches. I think I will put a dot on the future 600 yard targets for my aim point......interesting question Ozark!! Funny thing is, when I first read Ozarkpugs' question, I was gonna do my normal thing and respond with some smart arse reply about Coriolis effect (common nerd humor stuff for us engineers) - for once I made the right call and didn't do that. Heck that's actually two things I learned today - didn't realize Coriolis effect actually had a measurable influence either. I keep going at this rate and I'll be done with my weekly learning by Wednesday! I wonder if I can convince my wifey that I need to go buy a 6.5 Creedmoor as a learning exercise? Great article Mad, I guess we are all bending that learning curve (trajectory) in a different light today. Thanks for posting it for all to see. Welcome to Talkhunting Ozarkpugs and thanks for your input. We all appreciate learning new things or just refreshing our old memories of things lost. It's always great to have new participation, it like having a new set of eyes on a project with a fresh perspective of things. Ozarkpugs, your understanding is correct as far as the headwind altering the POI. Although the gyroscopic twist factor is what actually has more of an effect on the bullets position in flight. This does not effect the POI as much as other external ballistic factors. Mag, Mr. Litz and I have had a few conversations over the years, and yes a few of them heated. I argued that the gyroscopic factor is not as great as he pointed out in this article that you provided the link to. I'm definitely not saying he's wrong just not to the degree. I also disagreed with his computations on the Coriolis factor as well. From applied situations shooting at distance of 2000 I've realized the importance of both. My corrections were not a great as he pointed out. Another external ballistic factor to look at is Magnus Effect which puts another "spin" (pun intended) on the bullet. I'm so happy that this has gotten minds working. I've intentionally put some incorrect mathematical findings in all of my teaching material. This tests the student shooters to see if they comprehend and apply what is being taught. Mad my friend you passed with flying colors. Shooting is so much fun and when you arm yourself with reason's for the why's it becomes even for satisfying. Even at normal distances you can apply some of these factors. I know notsams is experimenting with greater distances and is enjoying the personal challenges. The learning curve is not only the trajectory arch it's your ability to explain what's happening. If it was not measurable it would not be factual . I also keep shots at game short enough to insure I can be assured of a clean ethical kill so earth rotation nor bullets climbing the wind come into play on my shots . My point was shooting into headwinds or tail winds can have opposite effect than most people realize on bullets .